Holi, of late, has become an exotica. Though many of the millennials may not have the faintest of knowledge behind the commencement of the legendary festival and the tales of valor or the triumph of good over evil, they surely have profound memories as revelers sprinkling colors upon passer-bys and among each other, leaving the festival-goers coated in sundry-colors, the green, purple and red, at the end of the day. The spring-festival, in the contemporary setting, has become synonymous with bright shimmering colors, water balloons or Pichkaris, and Sweet-delicacies, it personally leaves a food-enthusiast such as me the most amazed, the exotic spring festival from the historical world-view has more to offer. 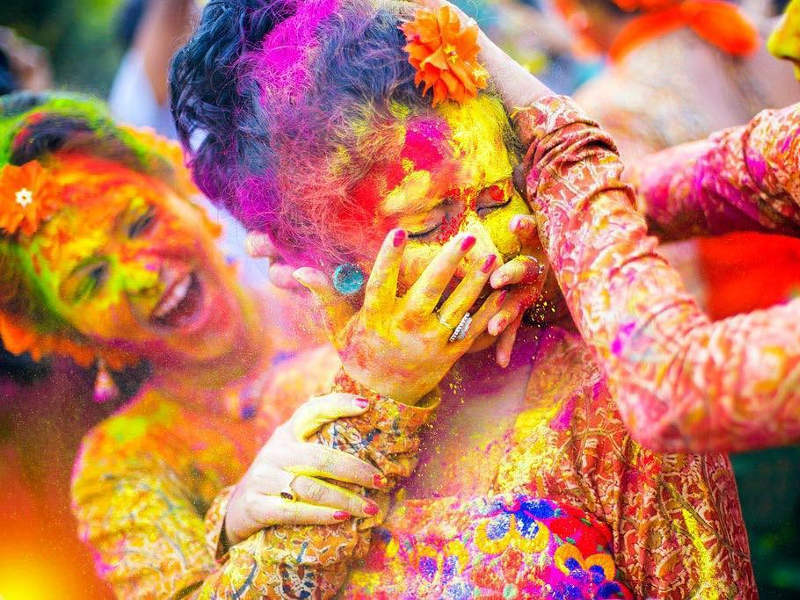 We will here closely analyze the evolution of Holi, as the Happy festival now celebrated with pomp and grandeur ubiquitously. Though rendered to a mere two day celebration from the pompous at least a week-long celebration even just a few decades ago, let alone the historic times; the first evening known as Holika Dahan or Choti Holi and the latter day that follows being referred to as Rangwali Holi or Phagwah, the traditional way of celebration, rejoicing by singing Holi songs and lighting a pyre as to the traditional belief that it helps scare away the evil spirits are still observed in plentitude. Of many such instances is the Nababs of Avadh who have kept the traditions of the festival live, their grand celebration is a symbol of amity between the communities of two discrete religious beliefs, the Hindus, and Muslims. The young and the old gather to exchange colors and the sweet delicacies served to make the celebration really sweet. As the tales have it, the Asura King Hiranyakasyapu’s son Prahlad was a devotee of Lord Vishnu. The self-prided King, who had the ulterior motive of ruling the heaven and establishing himself as the principal deity all would worship was intolerant of his son worshipping his arch-enemy, he asked his sister Holika (who had the boon to be immune to fire by Agni Devata himself), to take Prahlad upon a pyre and kill him. However, Prahlad who sat on the lap of his aunt was protected by his deity, and the fire combusted Holika instead. 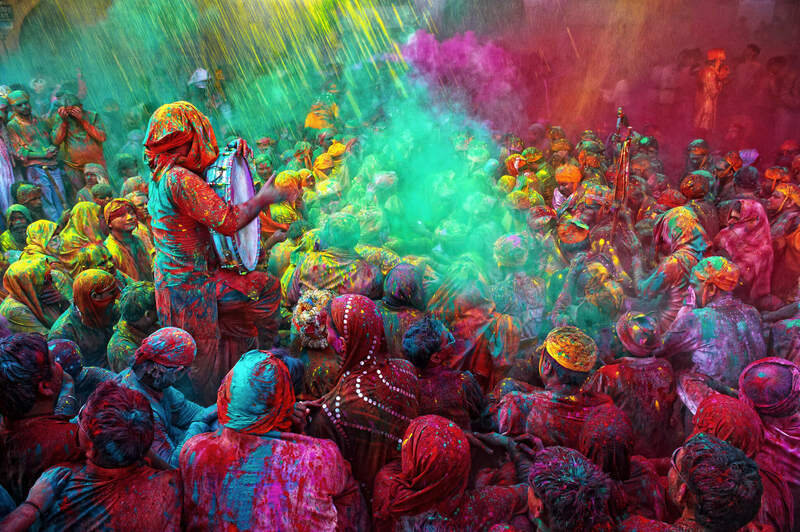 Holi thus once stood for the victory of good over evil, but now is slowly shifting its paradigms. Though still a wonderful medium of putting aside all the inhibitions of religion, caste, creed, and dialect bringing all together, even those at the bottom of the ladder at least for a day, but certainly in a manner less prodigious than in historical times, the festival with holy roots is starting to lose its value because of unholy practices. The festivity of color, exuberance, and merrymaking, has slowly been turning to boisterous mischief-making, causing both social and ecological problems. Legend has it that when Lord Krishna despaired by his blue-skin whined to his mother whether the fair-skinned Radha and other girls would not like him, his mother’s ‘word of wisdom’ was to apply sundry colors on Radha’s face, so as the inhibit the differences of individual, embracing each and every one them whole-heartedly. The festival in the historic times was about disbanding the strata of the society upon which discrimination in abundance was based upon. But as the modern day Holi approaches, the festival has become synonymous with incidences of eve-teasing. Boys and men gather on their junctions around schools and colleges, on top of their terraces, and target girls and women with water pouches, and sometimes even buckets full of water which isn’t necessarily clean. It certainly is a deviance, and for worse, from the proud culture, we have inherited from the time immemorial. But a happy festival it is, the frivolous day in the spring when lively people swarm the streets, sprinkling colored water and sprinklers, or the dyes on each other, which when enthusiastically observed will build trust, inspire respect and build long lasting relationship inhibiting the individual differences and strata of the society.